For the first time since 2015, Red Beach has participated in IRB racing. 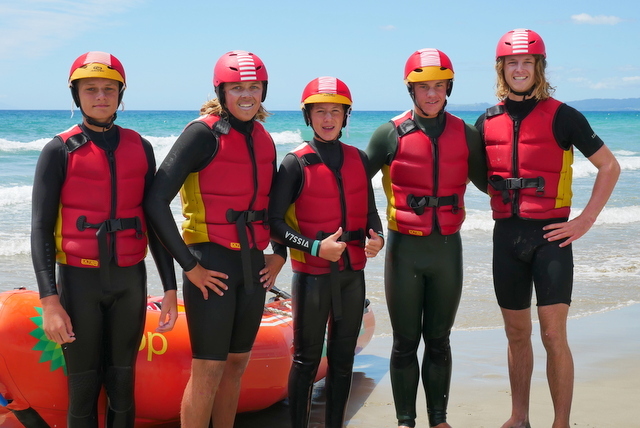 An under-19 men’s crew of Jonah Cleminson and Harry Mellor transformed themselves into ‘petrol heads’ to race in the Northern Region IRB Championships at Ruakaka on Saturday 12 January. The crew, known as the Red Beach Raptors, made it into the finals of their four events and came away with two bronze medals. 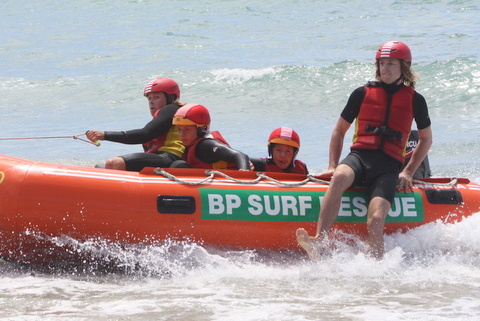 They were supported in their races by fellow Red Beach lifeguards Jamie Ward, Matt Hughes and Coby Moratti who filled in as ‘patients’ for the crew. The podium finishes came in the Mass Rescue and Tube Rescue events. 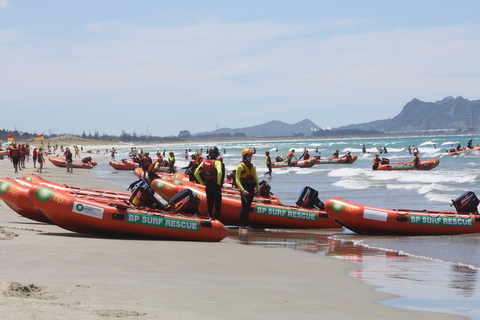 “It was quite a different environment, however, we had a good time and thoroughly enjoyed it,” said Jonah who drove the IRB. Training has taken place on weekends at Red Beach with Shane Edwards of Sunset Beach spending a full day with crew to coach them and to help refine their racing techniques. Red Beach club captain Mark Readman helped the boys pursue their interest in IRB racing and provided guidance on competing in IRBs. 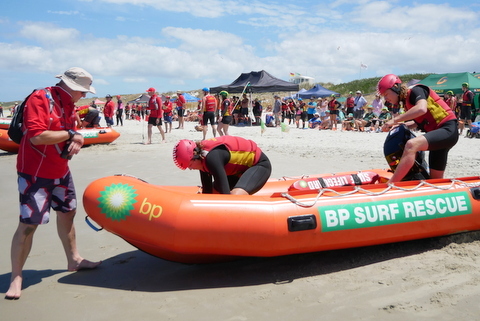 A week prior to the IRB Championships, the crew took part in a ‘practice’ carnival at Orewa along with 10 other Northern Region crews. 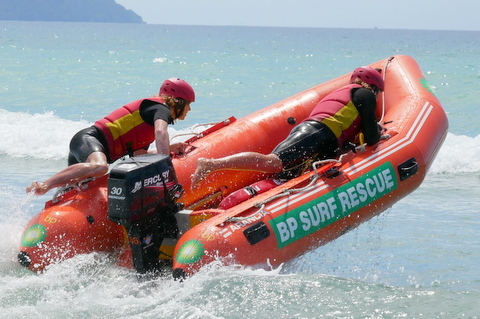 The Raptors are now in training for two major events coming up … the BP IRB North Island Championships at Waihi Beach in mid-February and the NZ Championships at Dunedin’s Waikouaiti Beach on 6 & 7 April.